Photos: Jessie J. Attended The Republic Records and Big Machine Grammy Afterparty! Recording Artist Jessie J attended The Republic Records and Big Machine Label Group’s Grammy Celebration last night at Warwick on February 8, 2015 in Los Angeles, California. PHOTOS: Miley Cyrus Is A Beauty In Black On Red Carpet At 2015 Grammy Awards! Miley Cyrus looked beautiful in black, as well as classy and elegant, as she showed of some cutouts in her dress while walking the red carpet at the 2015 Grammy Awards held last night (February 8) at the Staples Center in Los Angeles, California. Miley was up for a nomination for Best Pop Vocal Album for her album Bangerz. Be sure to check out more pics of Miley on the red carpet and backstage of the Grammys in the gallery below! PHOTOS: Taylor Swift Stuns On The Red Carpet At 2015 Grammy Awards! Taylor Swift worked the red carpet in a beautiful teal dress at the 2015 Grammy Awards held last night (February 8) at the Staples Center in Los Angeles, California. This year, Taylor was not set to perform on stage as she has been busy with her upcoming tour but Taylor still made sure to have time to present an award! Be sure to check out more pics of Taylor at the Grammys in the gallery below! PHOTOS: Nick Jonas Attends 2015 Grammy Awards With Olivia Culpo! Nick Jonas is a handsome stud on the red carpet with girlfriend Olivia Culpo at the 2015 Grammy Awards held tonight (February 8) at the Staples Center in Los Angeles, California. Nick will be presenting the award for Best Country album. Be sure to check out more pics of Nick on the red carpet in the gallery below! Ariana Grande shows off her back in a beautiful black and silver dress as she arrives on the red carpet with Big Sean at the 2015 Grammy Awards tonight (February 8) at the Staples Center in Los Angeles, California. This year, Ariana is nominated for two awards and is also set to perform! Be sure to check out more pics of Ariana on the red carpet in the gallery below! Latin Rock Star, Juanes, Confirmed In Performance Lineup At 57th Grammy Awards! 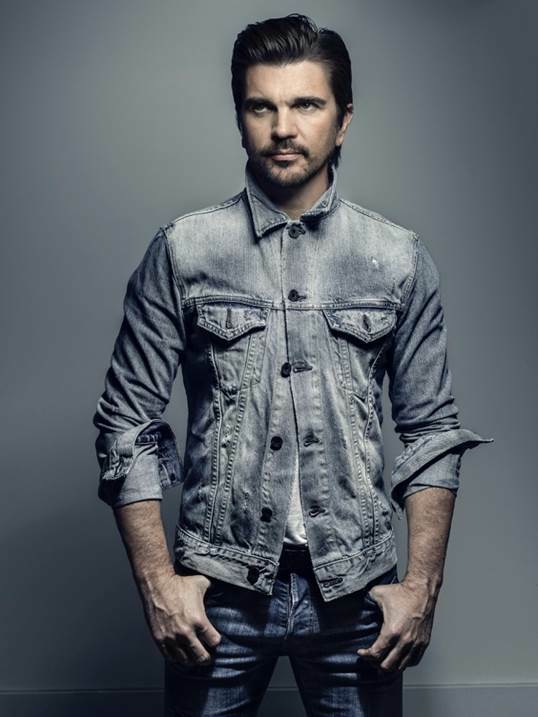 Latin sensation, Juanes, who wrote the original song for Walt Disney Pictures’ film, McFarland, USA, has been confirmed to be singing once more at the 57th Annual Grammy Awards this year! Juanes had been part of the musical lineup of performers before back in 2013 where he sang an English-Spanish version of Elton John’s “Your Song”. We’re definitely excited that everybody will get to hear that new amazing single “Juntos (Together)” from Disney’s newest film! Are you? You can catch the 57th Annual Grammy Awards LIVE from the Staples Center in Los Angeles on Sunday, February 8th only on CBS! Ariana Grande, Ed Sheeran And Others Are Set To Perform At 2015 Grammy Awards! The Grammy Awards will air on February 8th! Be sure to stay tuned!